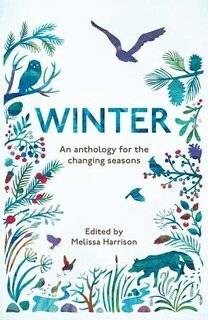 Once again I find myself in Melissa Harrison, The Wildlife Trusts and Elliott & Thompson’s debt, as my poem Lux Brumalis has been selected for inclusion in this, the final installment in their splendid Seasons series. Available in November from all the usual outlets, although I recommend you buy a physical copy (they’re gorgeous to hold) here. Christmas is coming. You know it makes sense. Very nice, Mr Julian. Congrats to you. I can’t wait to read your poem Julian. The books are lovely aren’t they, the covers tactile and enchanting. Can we have an anthology of your work please? Thank you, Annie. Your encouragement is always an inspiration to me.